The valuable work our team do for our clients only tells part of the story of how our staff spend their time. As a whole, Fingo strive for an altruistic approach to non-work related activities. From one-off events such as a 300 mile bike ride to Paris to ongoing commitments such as volunteering at Epsom’s Riding for the Disabled, we are all encouraged to take part in charitable pursuits which is then wholeheartedly supported by our peers. These charitable efforts come from a belief that everyone benefits from doing something for others. Philanthropy offers many positives to a company culture such as promoting a closer bond between teams, as well as providing a greater sense of fulfilment for employees. 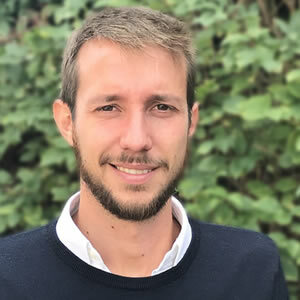 Adopting such strong values based around giving back to others has enabled Fingo to continually evaluate what we can do for communities and organisations… plus we love a good opportunity to legitimately eat cake!! In September last year, our Managing Director Peter Woollven and several colleagues from a partner agency undertook a charity bike ride from London to Paris. Raising money for Miracles, a charity supporting children and families in poverty. 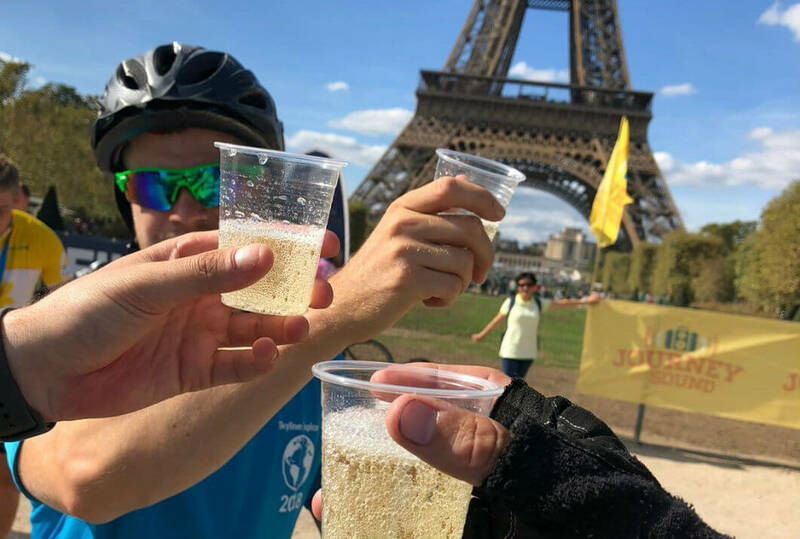 The cyclists braved the weather and drivers to complete the journey in three days, culminating in a celebratory glass (plastic cup) of champagne. When in Rome Paris. Shortly after this, Sophie Foley ventured to Kefalonia, Greece. 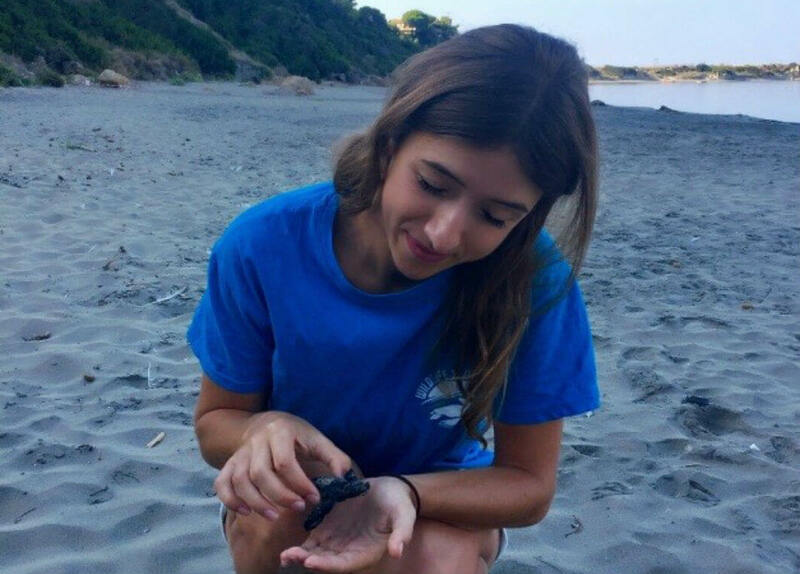 Her time there was spent working with the research and conservation project Wildlife Sense, whose aim is to protect, conserve and educate people on the plight of the endangered Loggerheard sea turtles. Charity work is not limited to individuals, however. As recently as December, our agency took part in Christmas Jumper Day in aid of Save the Children. December also saw the culmination of our annual baking event: the Great Fingo Bake-off which was eventually won by Sophie. The money raised was donated between a local hospice and Sunnybank Trust, an Epsom-based charity dedicated to helping adults with learning difficulties. Our partnership with Sunnybank dates back to our early days in 2010. One of our first clients introduced Fingo to the charity and since then, one of our directors has acted as a trustee. Being Epsom-based, there have been a number of opportunities for working closely with each other. One year saw the individuals from Sunnybank judge the Fingo Bake-off final round. 2019 is promising to be an even bigger year. In the next few weeks one of our directors is off to help at a community education project in India helping under-privileged children in Udaipur through one of our clients, POD Volunteer. We offer our help to charities and organisations when we can and we look forward to doing much more of this throughout the year.